Kaza is the largest township and commercial center of Spiti valley. 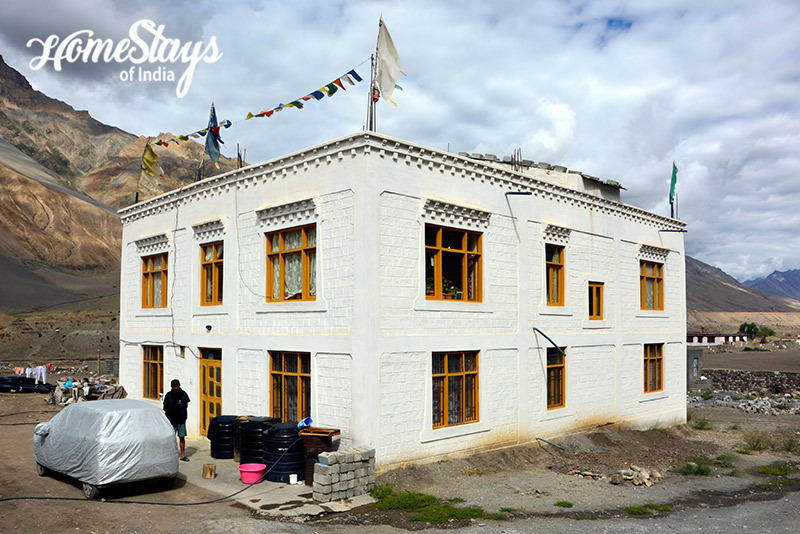 Being centrally located, Kaza is a good base to explore rest of Spiti. Day trips can be made from here to Tabo, Dhankar, Langza, Hikkim, Komic, Key and Kibber. Also, things of daily need are easily available here unlike rest of Spiti. 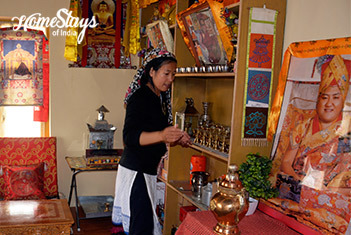 Kaza is known for its colorful festivals and the ancient Sakya Tangyud Monastery 4 km from the town. The best time to visit Kaza is from June to Oct. If you want to be a part of local festivities, plan your trip around August when Kaza hosts Ladarcha fair. Winter tourism is also gaining popularity these days in Spiti. 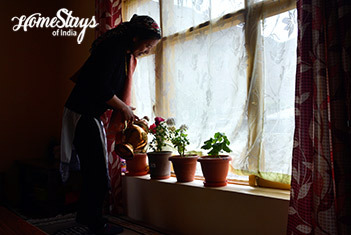 Our homestay remains open in winters as well. It is a newly constructed house in new Kaza. It has 2 floors. 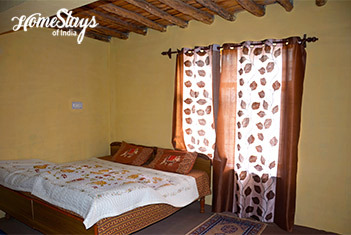 Host stays on the ground floor and first floor is available for the guests. 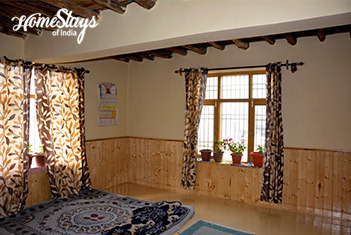 There are 2 spacious rooms with common English style toilet on the first floor and 2 rooms can be made available for bigger groups with Indian style toilet on the ground floor. 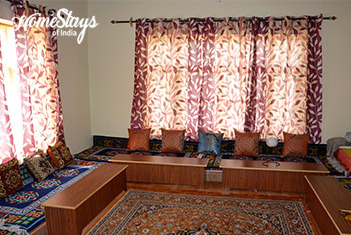 There is a living room, a beautifully maintained kitchen garden, puja room and a traditional dining area where family and guests can sit together, interact and eat. You will be welcomed by a hospitable local family. Nawang and his wife Tenzin Dolma stay in the house with their 2 kids. 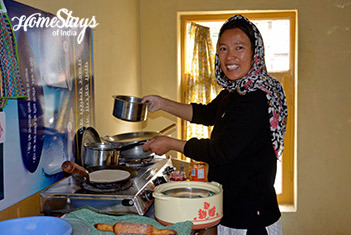 Tenzin Dolma is an active lady who takes care of the house herself in spite of working as a teacher in a local school. All the cooking is also done by her. Expect to eat fresh seasonal green vegetables from her garden. You will fall in love with delicious home cooked meals that are served with lots of love and care. Breakfast includes corn flakes, toast/ paratha and tea/ coffee. You can enjoy the local cuisine for dinner, you need to inform the host in advance.